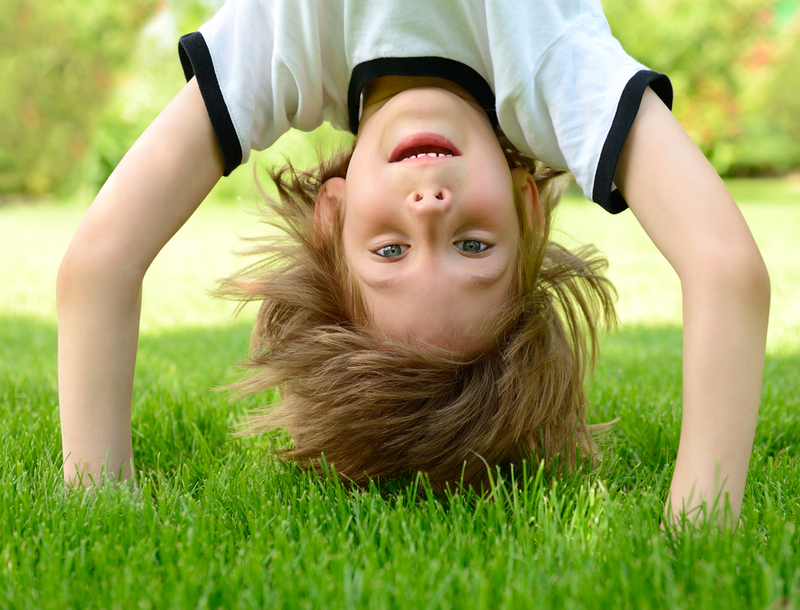 Kids love to get dirty, whether in parks, the backyard, or on the lawn as they roll along the grass. Such innocent playtime, however, could lead to serious health problems as the children come in contact with toxic pesticides and fertilizers used to maintain many lawns. Pesticides are poisonous; even minute amounts that could instantly kill small insects can pose danger to the health of your kids and your pets. Scientists have established a link between exposure to several lawn and garden chemicals with behavioral problems in children, as well as damage to the brain and nervous system, developmental and reproductive defects, and even certain types of cancer. Research has also discovered that pregnant women exposed to even small doses of pesticides could bring a huge impact on the unborn baby’s health. Extensive usage of pesticides has also led many insects and weed species to become resistant to the chemicals. What used to be just one application of pesticides in the 1970s becomes two to five applications today. Because of this, pesticide companies develop stronger chemicals, which may have greater consequences for humans and the environment. Pesticides do not stay put on your lawns and gardens. These harmful chemicals also seep through soil and enter groundwater, or get carried away by the wind and land on streams and rivers. Pesticide particles also attach themselves to soil and dust, which land on our shoes as we walk into our houses and could pose danger to your family. Deal with the actual problem, not just the insects – While pesticides provide a quick solution to the problem, it does not eliminate the source of it. Aside from eliminating the usage of pesticides on your grassy lot, it is necessary to alter the conditions that made pests thrive in the first place. Weed naturally – Instead of using herbicides to kill your weeds, do it the natural way using boiling water, diluted soap, or white vinegar. You can also discourage the growth of weeds by spreading corn gluten on your lot. Use the least toxic pesticides possible – If you cannot help but resort to pesticides, use the least toxic products possible. Pesticides containing DEET and DDT are absolute no-no. You can also practice Integrated Pest Management for a more effective insect control with minimal damage. Develop healthy soil – Mulch grass clippings and bring them back on your lawn as it helps in recycling nitrogen. Also, let soil loose periodically to allow air to circulate around the roots. Reduce thatch – Rake away layers of decomposing roots, leaves, and stems. Choose native grass types – Make sure to plant grass that is suited to your area’s climate. Also, use soil that is naturally more resistent to diseases. Water deeply but not too frequently – This practice reduces fungal growth, which also attracts pests into your lawn. Water between midnight and 8:00 a.m. to reduce evaporation. Mow high – Keeping your grass tall and long actually chokes out weeds as it takes in more sun and moisture. Keep your mower blades sharp to avoid tearing grass, thus keeping the lawn healthy. Use fertilizers wisely – Go for natural, organic fertilizers and use them sparingly in early spring or late autumn. Avoid using them before expected heavy rainfall to prevent the chemicals from seeping into waterways. Encourage neighbors to practice the same – Inform your neighbors about the dangers of pesticides on their lawns so it would not affect their children as well.